Ideal for even the smallest of ponds. Water is channelled through all of the deeply veined leaves, creating a good flow of water and controlling its decent. 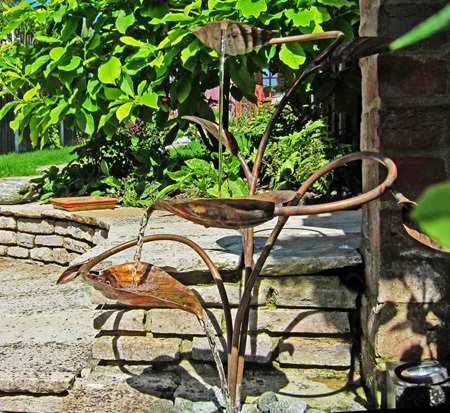 The Hosta copper fountain comes complete with a stone base, enabling it to be installed in either a pond or pebble pool. Connection to the pump is from below the base, so all pipes and fittings can be discreetly concealed. Connection: 19mm hose connection on underside of the base. 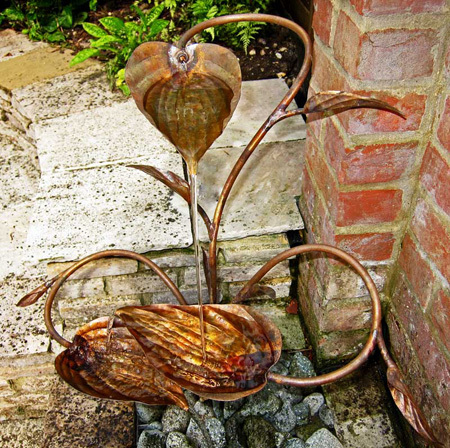 In a modest workshop in East Yorkshire, England, Gary has been producing his range of Copper fountains since 1999. He creates high quality pieces, with the best materials and from original designs. 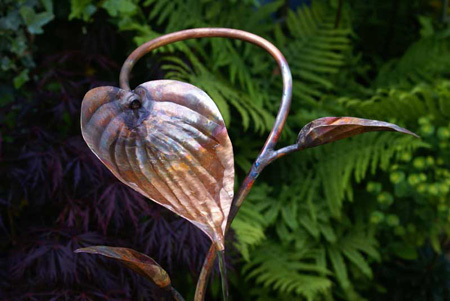 Through a process of annealing and repoussé work, very lifelike forms can be made from a plain sheet of copper plate. All key joints are made using a specialist hard solder, which forms a union stronger than the material itself. This enables the creation of a piece of sculpture, which may look fragile, but is in fact extremely resilient. 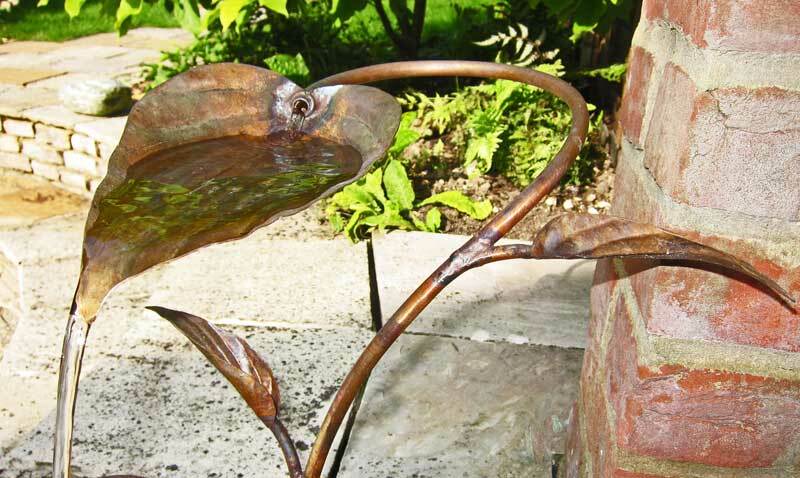 The copper is left in its natural state, to benefit from the constant changing patinas building up over decades. This process allows the fountain to blend perfectly into a garden, integrating, without dominating.